If you say yes to the following questions, chances are you are a lover of paranormal romance? Do you think that vampires are misunderstood and are really great guys? If yes, chances are you are a lover of paranormal romance. Do you ever look at a wild animal and think that deep inside there is a hot shapeshifting guy just waiting for you to see his true potential? If yes, chances are you are a lover of paranormal romance. Do you think a guy growling at you is one of the sexiest sounds you've ever heard? If yes, chances are you are a lover of paranormal romance. Do you think that Professor Snape and Lilly Potter could have had a romance during their time at Hogwarts but the author just thought it too controversial to put in the books? If yes, chances are you are a lover of paranormal romance. Do you secretly enjoy watching Vampire Diaries, Beautiful Creatures, and on occasion watched the first Twilight movie more than once? If yes, chances are you are a lover of paranormal romance. Do you know deep in your heart, it is possible to have a relationship with a man who lived in the 18th century and is haunting his keep in Scotland for centuries until someone comes along and unlocks the curse he's under? If yes, chances are you are a lover of paranormal romance. So I'd like to thank Jeff Foxworthy for ripping off, his "Redneck" skit for my blog. It's true, I can say yes to all of my questions. 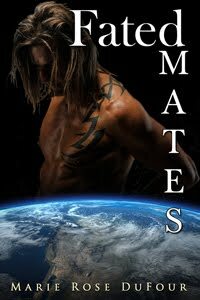 I'm a lover of paranormal romance!!! If you already couldn't tell. I like my romance hot and my chills thrilling. 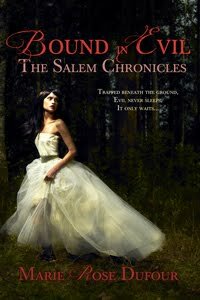 I'm giving away a copy of my first paranormal romance, Bound in Evil to a lucky commenter. All you have to do is tell me what do you love, love, love about paranormal romance. Please remember to leave your e-mail address, so I can send you the book when the hop is over. I'm including my hot excerpt below to give you a little taste of what you can find between the pages. Don't forget to click on the icon on the sidebar of the blog to take you back to SCP's blog main page, so you can find other deliciously thrill-worthy books to chill you to the bone and heat you up at the same time. I think the temperature just went up, way up. Great excerpt. loved the excerpt. really hot! Whoa! I had to take a cold shower after that one. Very steamy! I answered yes to most of your questions, and I love to read and to write paranormal romances. Great collection of stories. Best wishes! Your excerpt is intriguing. It makes me wonder what secrets he holds. Thank you for being a part of this hop! Just hopping by. Have a great weekend. I enjoyed the movie Beautiful Creatures so much that I had to by the book. I'm glad that I did, it is much better. What I like about a a paranorma romance is how two worlds are bridge together because of love. Hi! Your book sounds so good! I love everything about paranormal. The characters, plots, powers, how any thing is possible and each book is different. With paranormal books, there are no rules or guide lines to follow. You can make up anything. I love it! Thank you for sharing and for being apart of such a great hop!